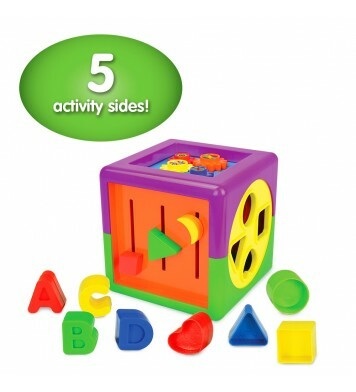 This big Shape Sorter cylinder will help keep your toddler engaged for hours! 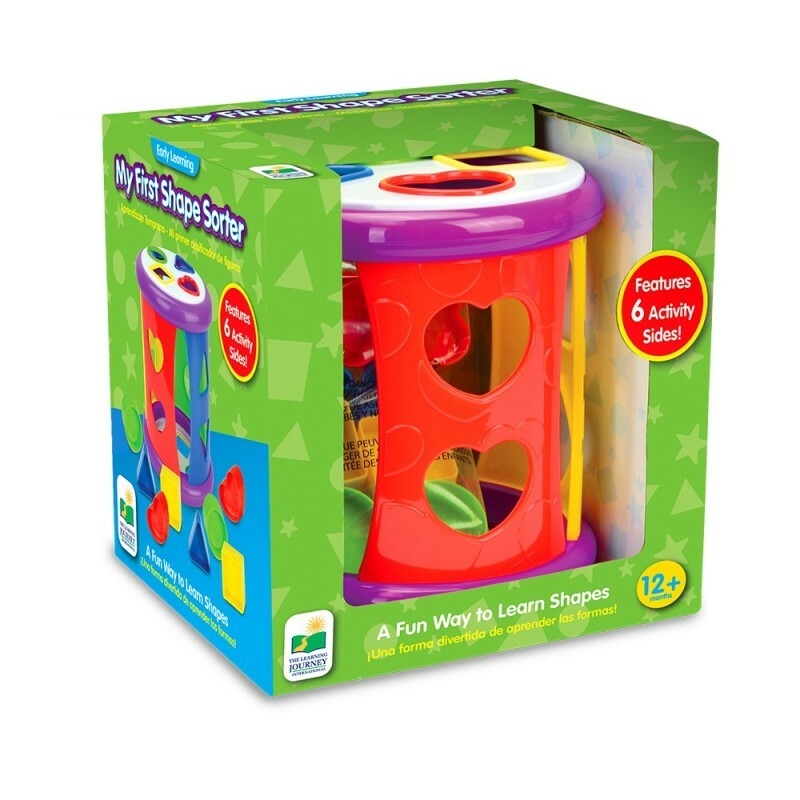 With the shape cut outs on the top and sides, your little one will get lots of practice learning about shapes and where they fit. The shapes also conveniently store inside the unit. Ages 12+ months. 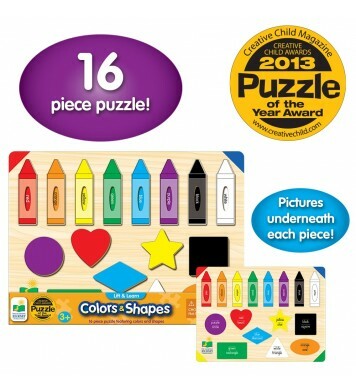 Great for problem solving and matching! 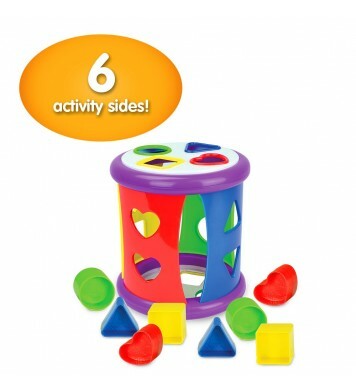 This toy is essentially a cylinder with cut out shapes on all sides. The shapes include hearts, circles, triangles, and squares. 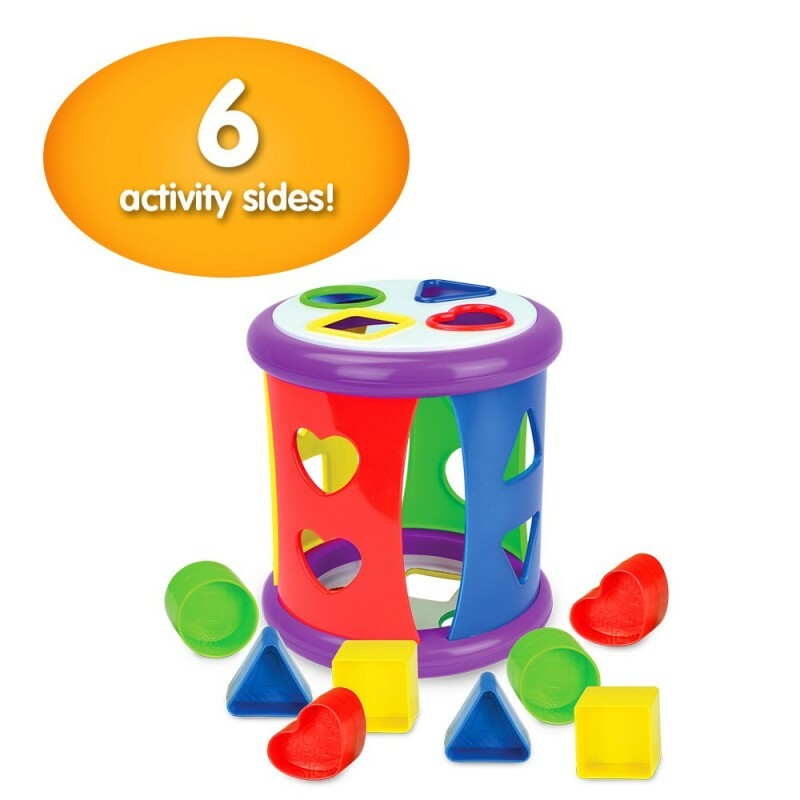 The first thing I like about this toy is that you can encourage your child to not only learn shapes and how the pieces fit into the correct slots based on shape, but also matching the colors. 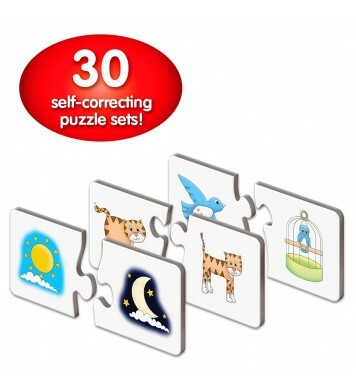 The "puzzle" pieces match the same color as the background on the cut-out of the toy. The shape cut-outs are also turned and flipped so that the child learns to problem solve "while the triangle fits in this way at the top, it's not fitting the same way at the bottom, maybe I have to flip it". Sounds like a simple concept to you and I but for little ones this is actually quite a complex concept and gets those wheels turning in the heads! The ends of the cylinder can be twisted and pulled out to use as a storage area for the pieces. 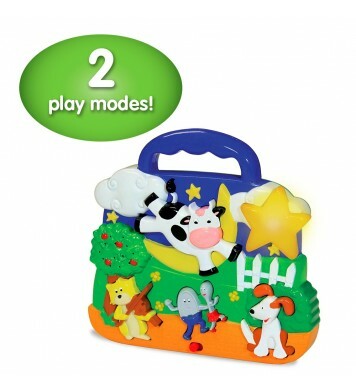 I really like this because I have had to use too many zip-lock baggies to store pieces of games and puzzles lately! 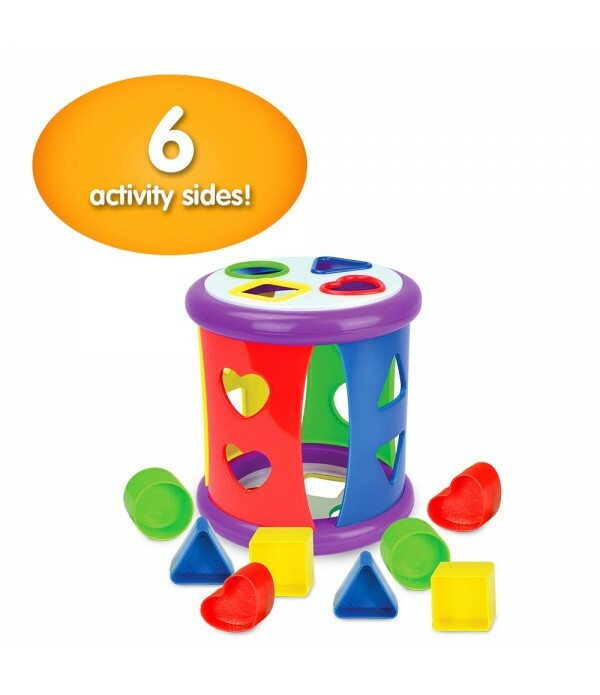 This way everything stays together for the same toy. However, the one thing that I am having trouble with is keeping the lids to stay on. I appreciate that they are easy to twist on pop off as my little one can access the pieces himself, but they do tend to pop off on their own now and again while carrying it to another room or cleaning up. Not the end of the world but it sure would be nice if one of the ends were fixed so that the end that opened could be carried facing upward.